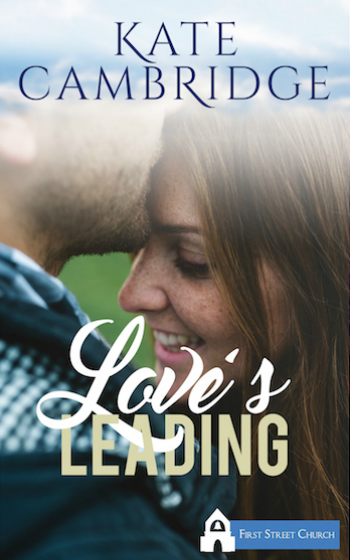 Kate Cambridge » Love’s Leading Launches with the First Street Church Kindle Worlds Series! What’s more amazing for an author than releasing a new book to their readers? Not much—it’s a tough one to beat. With that said, launching LOVE’S LEADING with Melissa Storm’s First Street Church Kindle Worlds series has been one of my best experience to-date with a multi-author launch. Coordinating just a few authors can be a challenge, but somehow Melissa and her entire team corraled TWENTY authors for the November 15th release! It was masterful, and I don’t use that word lightly! My more recent books are my favorite to-date (contemporary) but don’t worry, I will complete the Choice Brides Suffragette series in 2018 if you’re a historical romance fan. I do feel like I’ve found my I can’t wait to write and create more and more characters and stories with sweet contemporary romance… with a sprinkle of intrigue. Right now, the contemporary genre meshes perfectly. Have you picked up a copy of Love’s Leading yet? If not, it’s a contemporary romance with a heat level of… maybe one. It’s a story about a man who lost a wife he loved dearly, a recent move to Sweet Grove, Texas with his five-year-old daughter, and the nanny he hired to care for her so he can continue his work as a consultant for the FBI. What he doesn’t know, and could not anticipate is that his daughter will come to love the nanny, almost instantaneously, and that presents some problems for them–especially once Athena’s secret comes to light; well that, and the fact that she’s just the nanny. Or is she? Get your copy of Love’s Leading, and please let me know how you like it!